Mandel Hall is ready for its close-up. The 985-seat concert hall underwent one of the biggest renovations in its history over winter break. The revamp has left the venue “repaired and refreshed,” according to Heather Kneezel, the project architect for McGuire Igleski & Associates, the firm that designed the renovation. The renovation focused on improving the look and functionality of the interior of the hall. This involved repainting and repairing walls and parts of the ceiling that in some cases had not been touched in over 100 years, according to David Culcasi, Project Manager for Capital Project Delivery for the University’s Facilities Services. Some areas of the ceiling were so old that they had rotted away. “There were a few areas where you just went up and touched it and the woodwork would just crumble and fall all the way down to the floor,” Culcasi said. Additional changes included the installation of new seating, acoustical reflectors to improve sound quality, and a fire alarm and sprinkler system. The cumulative effect of the changes has left the hall feeling almost new. “It’s a major facelift. Things that were in disrepair were fixed. All the wood and the ceiling—it was all dusty. When you walk down the hall on the second floor, you didn’t really want to be there. It was really dirty. Carpet was faded. It was just, I would say, an overall repair and refresh,” Kneezel said. Despite the changes, the University was careful in making sure the renovation did not change the historic nature of the hall. In fact, the architects even looked at pictures and drawings from the early 1900s to replicate the original design. 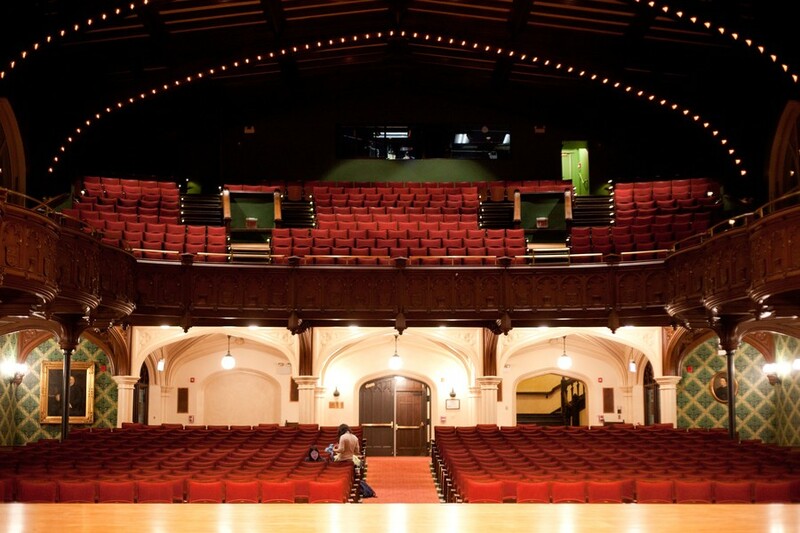 “[The hall] looks like it stepped back 40 or 50 years,” Mark Johnson, who runs the Gilbert & Sullivan opera that performs in Mandel every March, said. Renovation for the building started during summer break but was suspended during fall quarter to accommodate student interests. Repairs were finished over winter break. Kneezel estimated that 65 percent of the work was done during summer break and 35 percent during winter break. The University made the decision to renovate Mandel because it had already decided to add a new sprinkler system for safety purposes and realized that this would be a good opportunity to give the whole hall a revamp. The renovation is included as part of the University’s Capital Improvements Project plan, which targets buildings in need of repair. Additional minor repairs will continue throughout the quarter, which will involve installing drinking fountains in the back of the hall and work on the fire pump room.